Little by little I am updating the master bedroom. I went to Target to buy the Lamp Shade, the floral picture and the Gardenia candle. 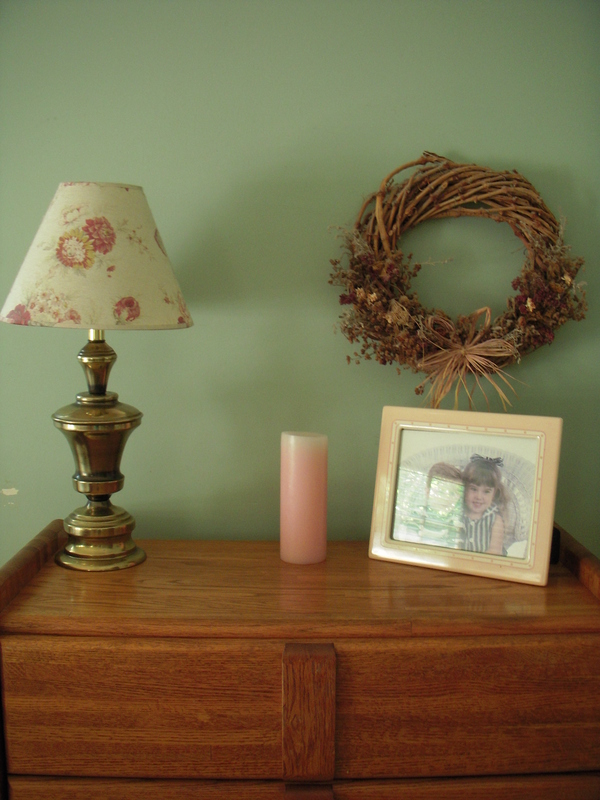 The picture of my kids is much more current and the flowers and vase are from the 99 cents only store. That looks so nice! I love the floral picture! Looks very stylish. You really put some thought into renovating the dresser. That gives me a few ideas of my own on how to renovate the house. Hope i will be as successful as you were. I love the floral picture. 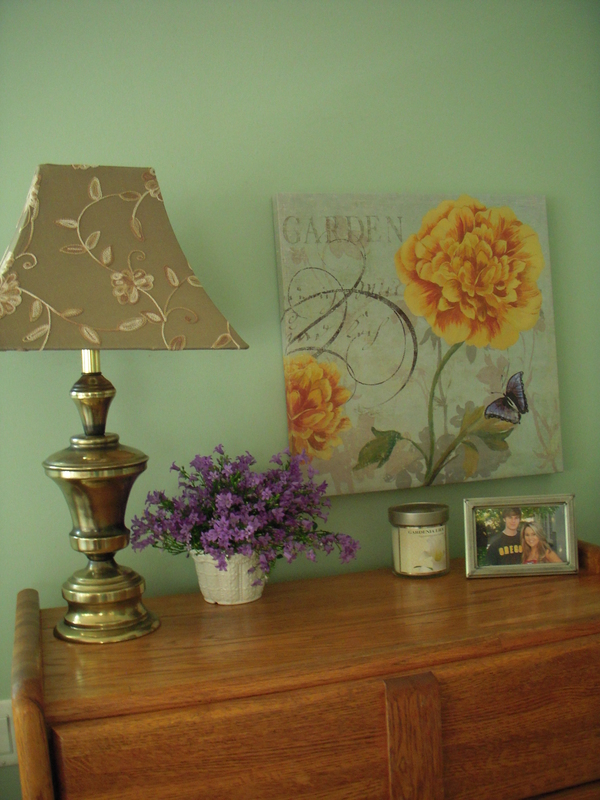 It is light and airy, I have tried so many different ideas with my dresser. I keep changing it.